John Price Broker & Associates offers a unique service providing immigration assistance to the USA. Our specialty is providing information to help emigrate to the USA through business acquisitions. JPBA works with the leading Immigration Attorneys and consultants in the Central Florida area to meet your Visa requirements. When working through JPBA and our partners, we can save you time, money and prevent many of the headaches associated with moving to the United States. 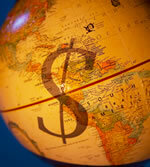 Where a business plan is required by the United States Embassy, we can point you to a source for low cost assistance. Later, when full legal status is obtained, we can provide you with valuable assistance in obtaining a United States Small Business Administration insured commercial loan for business expansion, relocation, or purchasing another business via our office. Please review our Businesses For Sale in the "Search Businesses" section of our website or let us know what type of business you are seeking to acquire. We regulary assist buyers in acquiring a specific type of business. Additionally, we can help with relocation, housing, mortgages through our sister companies. JPBA can save you "thousands of dollars" when using our "bundled services" in your move to Florida. JPBA works closely with immigration attorneys regarding visa transactions and moving to the states. For additional help with housing, mortgages and real estate, please email or contact us and give us your itenary and we will assist you with excellent housing in the Orlando area, as well as throughout Florida. Our staff members specialize in the field of "Mergers and Acquisitions" (M&A) for small, medium and large businesses. This is now one of the leading "immigration" procedures for entering the United States. John Price Broker & Associates (JPBA) is one of the leading M&A or Business Brokers in the Orlando, Florida, area bringing proven business and marketing principles to buyers and sellers. JPBA is a member of Florida Business Brokers Association (FBBA) and the Business Brokers of Florida (BBF) which has extensive multiple listing services in the State of Florida. Being a member of BBF & FBBA requires certain professional qualifications of which our office upholds the highest of standards. Please contact our office in Florida. Go to our "Contact Us" page for more information.